Macro is a genre of photography which allures most of us. To gain access into this world of wonder the simplest piece of gear is an Extension Tube. Which is equally helpful whether you are a beginner or a veteran. Extension tube is a hollow tube and has no glass in it. To take close up picture we simply have to fit it in between the DSLR camera & lens. 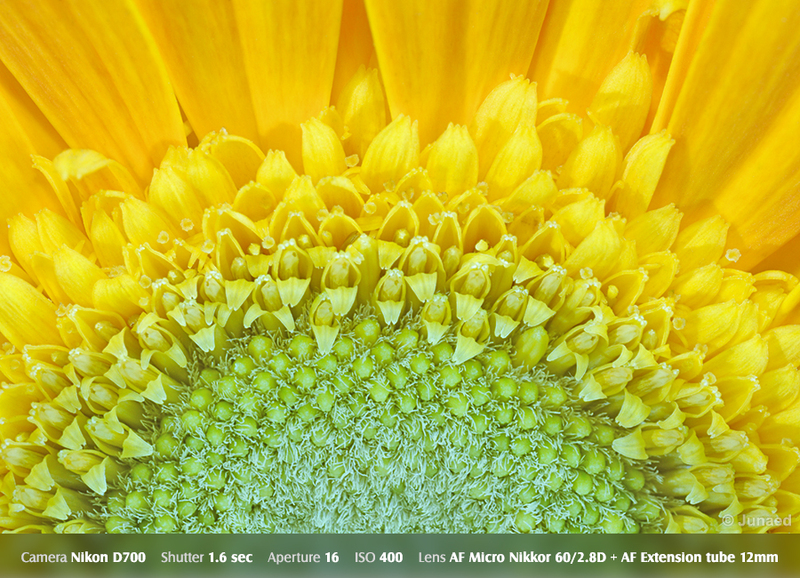 Extension tubes are available in different length e.g. 12mm, 20mm, 25mm or 36mm. We can use any one of them or combine two or more depending on our need. 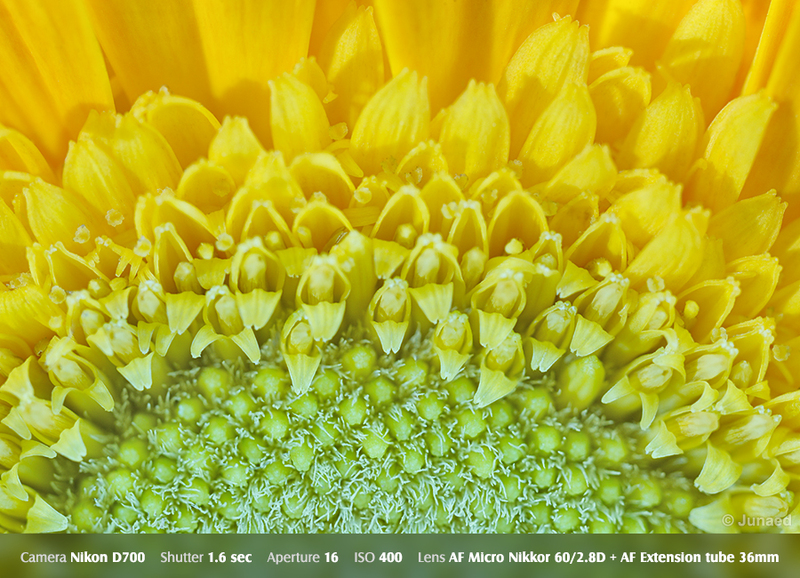 The picture below is taken with a AF Micro Nikkor 200/4D lens. The subsequent examples shows the different level of magnification that can be achieve with different length of Extension tube. All modern DSLR camera communicate with the lens through electronic contact. So when we purchase an extension tube it needs to be an Auto focus one. 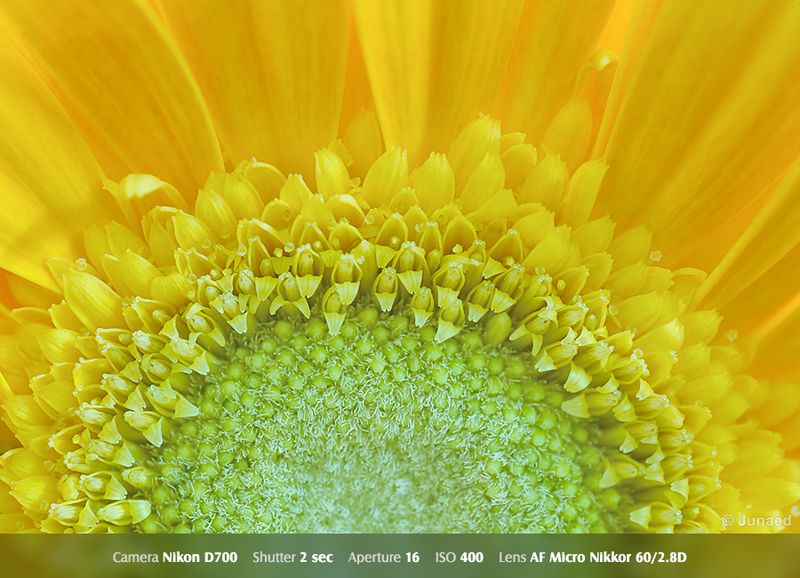 Nikon doesn’t make Auto Focus Extension Tube. Canon has Extension Tube EF 25 II & Extension Tube EF 12 II, but they are expensive. Among the third party manufacturer’s Kenko is the most popular. Besides there are many other brands and non-brands. 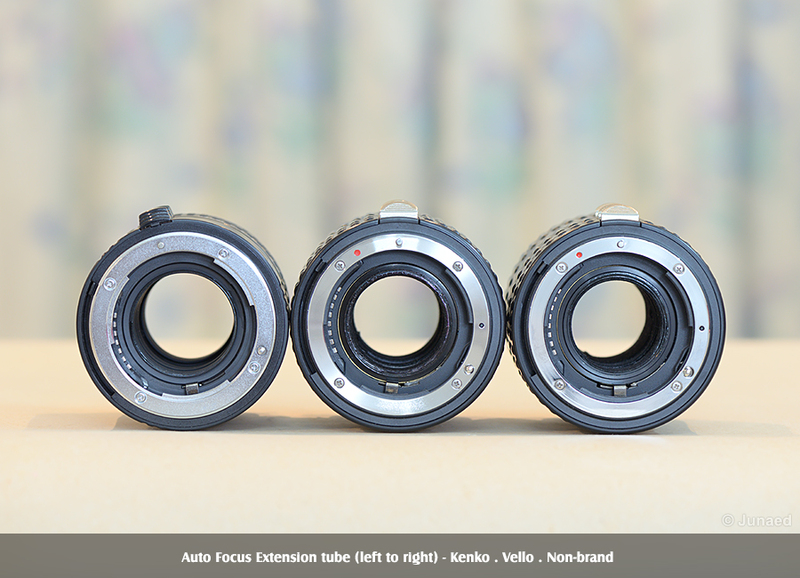 Here is a comparison among Kenko, Vello and a Non-brand AF extension tube. 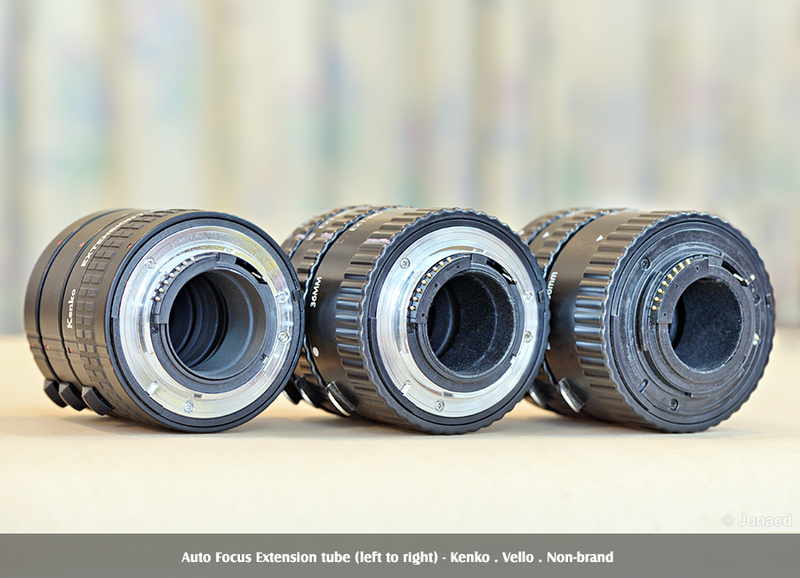 All three Extension tube comes in a set of three – 12mm, 20mm and 36mm. The outer structure of all three are plastic. Vello and Non-brand are almost the same, while the quality of plastic in Kenko is much better. The markings on the body for lens alignment are clean and simple on Kenko. 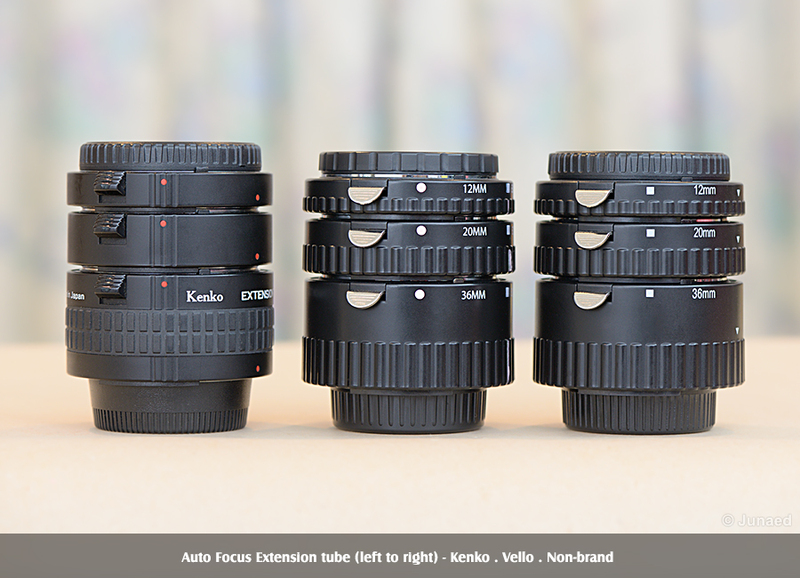 Lens release knob in Kenko is very well made and easy to use, while the rest have metal tab. They all have Front metal mount. However the grade of metal in Kenko is superior. The Rear mount of Non-brand is made out of plastic, which feels quite cheap. It is not recommend to use it with heavy lens. The plastic rear mount can be cracked. And if they do your lens will fall apart. Both Kenko and Vello have metal rear mount. In Vello and Non-brand the inner wall of the tube is covered with black felt. 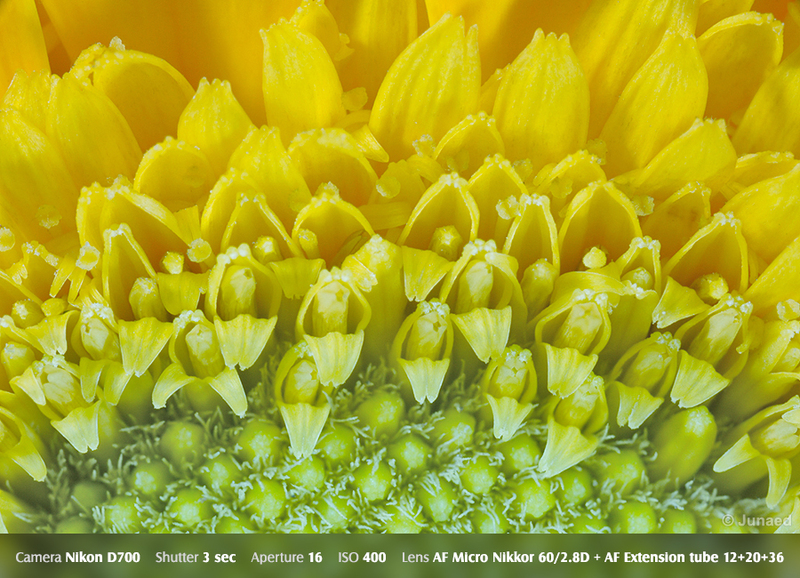 In Kenko the inner wall construction is just like that of lens, which is obviously much better. Inner diameter of the Non-brand extension tube is narrow by few millimeter. 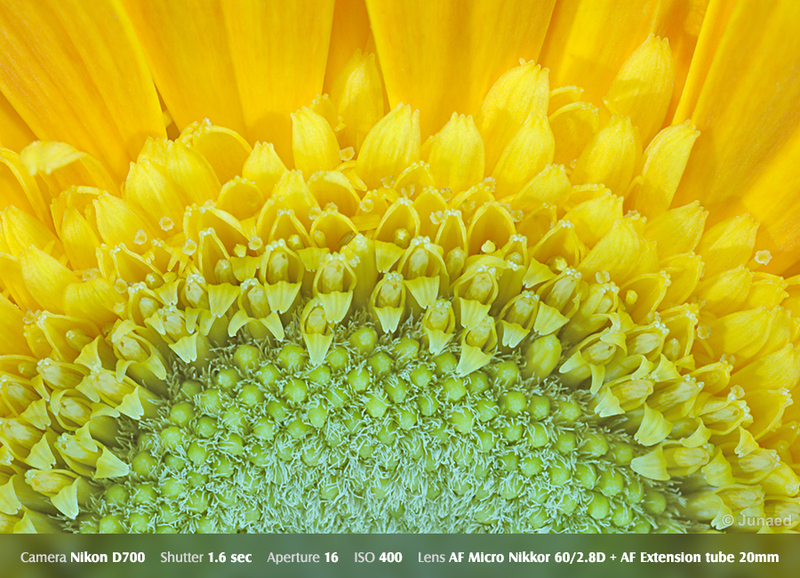 Extension Tubes have no effect on image quality, since they don’t have any optics inside. The Kenko has no problem in use. Vello and Non-brand works fine with Nikon Pro DSLR but not with entry level DSLR camera like Nikon D3100. 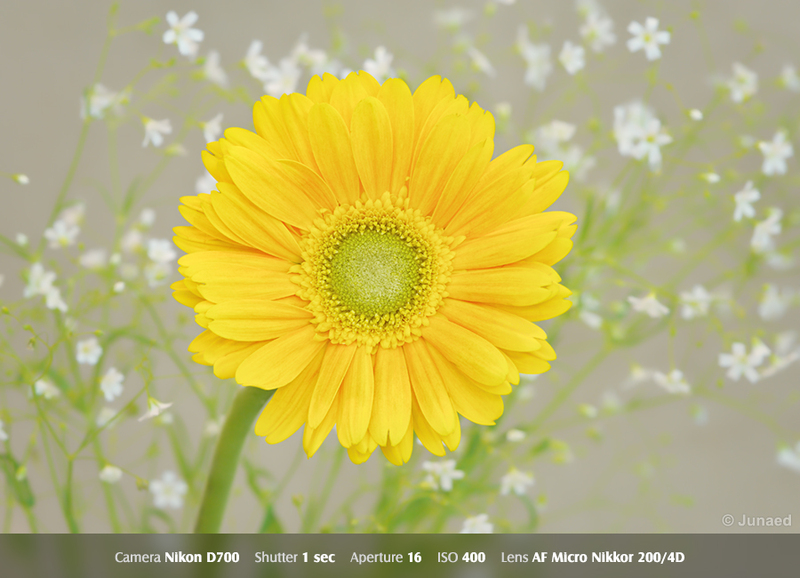 When attached with Nikon D3100 it gives (F – – ) Error. Which indicates the electronic contact of camera body and extension tube aren’t aligned properly. If you look carefully you will see there is a small knob on the lower right side of camera lens mount (at 8 o’clock position). Press it and it gets depressed. When you mount a lens on camera this knob is pushed by a small tab (tab located at 4 o’clock position of lens rear mount). If the knob isn’t pushed the lens doesn’t fits in right position and gives (F – -) Error. The tab found in Vello and Non-brand Extension tube doesn’t work as intended. To fix it push the little knob of camera lens mount with your finger nail tip and attach the extension tube. You will hear a click sound when Tube locks in and there will be no F- – Error. Now the extension tube will work just fine. There is no doubt that Kenko is the best among the three. At around $130 its a good investment for long term work. The built quality, fit and feel all are just how it should be. Next comes the Vello. Which is fine at an affordable price selling around $80. It works with almost all lens I have tested including pro grade tele lens like AFS Nikon 70-200/2.8 VRII. The Non-brand extension tube at a glance looks almost like the Vello but close inspection reveals that it has some short coming. These Non-brands are usually sold around $30 to $50 price range. It is good for beginners in macro photography. If you are new to DSLR photography, have a kit lens (18~55mm) or 50mm Prime Lens and want an affordable Extension tube – You may purchase a Non-brand AF Extension Tube. 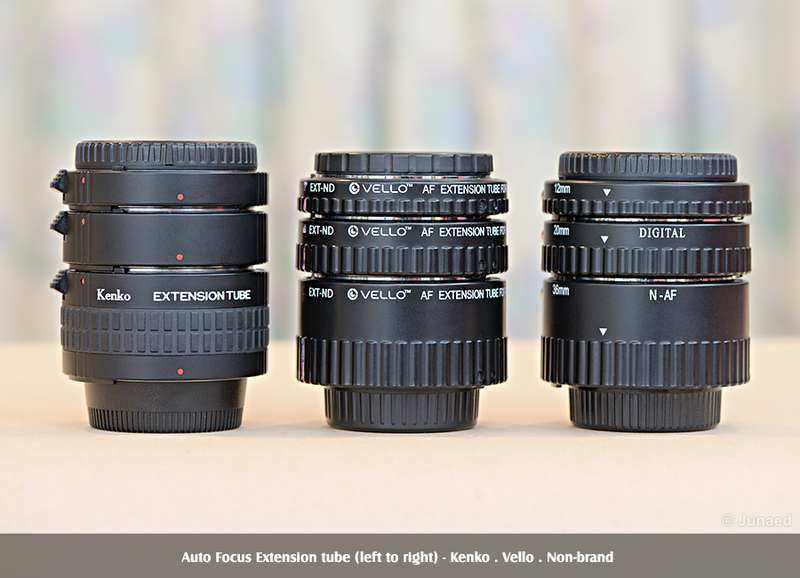 If you are an advance ameture and want an affordable AF Extension Tube – go for brands like Vello. If you want the best and don’t have limit on budget go for Kenko.